Your child will love charting their growth journey up the growth chart track, so much like the one on which Thomas the Tank Engine journeys. 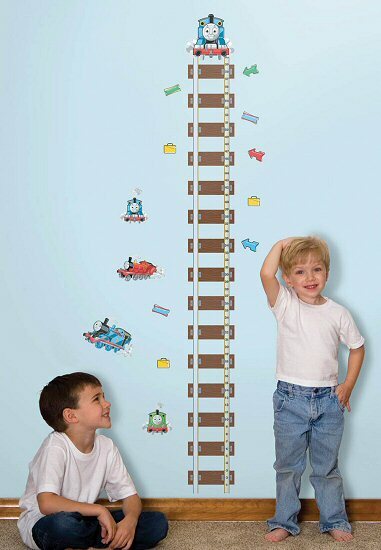 This repositionable Thomas the Tank Engine peel and stick growth chart is easy to assemble and will create an exciting Thomas the Tank Engine atmosphere that is sure to delight children of all ages. Use with other coordinating Thomas items to complete the delightful theme. This RoomMates Thomas the Tank Engine peel and stick growth chart is repositionable, removable, and washable, and offers decorating ease with no damage or residue to the surface.